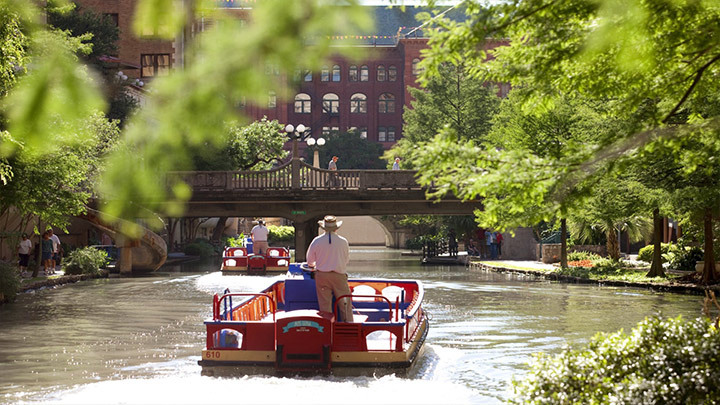 The 2016 annual meeting of the AAVP will run from August 5th through the 9th at the Westin Riverwalk Hotel in San Antonio, TX. 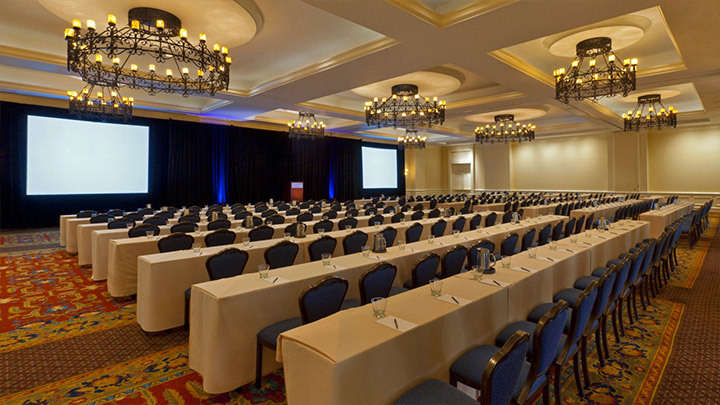 Plan now for an educational and collegial event at an exciting and affordable venue. Click here for meeting program. 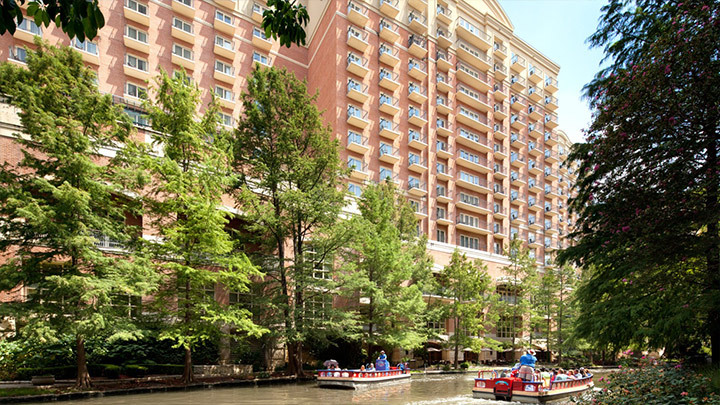 The American Association of Veterinary Parasitologists (AAVP) will hold its 61st Annual Meeting at the Westin Riverwalk in San Antonio, Texas, August 6-9, 2016. The AAVP annual meeting continues to be the most important gathering of researchers, students and clinicians for the dissemination of the new information and insightful perspectives on the biology and control of parasites of veterinary importance. The Program Committee is confident that the annual meeting will deliver an exciting and memorable conference, bringing together a diverse and exceptionally collegial group of scientists from academia, industry, government, veterinarians from private practice, and students in graduate and veterinary programs. The 2016 meeting builds upon the remarkably successful history of AAVP conferences and is guaranteed to foster meaningful interactions with colleagues who often don't attend the same meetings. With ever-growing concerns of anthelmintic and insecticide resistance, the re-emergence and spread of new vectors and vector-borne diseases, the changing regulatory environment, and the launch of new products for parasite control, our members and guests can count on getting terrific value for money and enjoying the opportunity to learn while making new friends and meeting old ones again. The 2016 Program Chair, Tim Geary, and the Program Committee, Ray Kaplan, Doug Carithers, Dan Zarlenga, Al Marchiondo, Meriam Saleh and Jessica Jacobs, are preparing an outstanding scientific program. The theme of this year's meeting is "New Vistas in Veterinary Parasitology". Plenary sessions on Saturday and Tuesday will highlight some of the best and exciting new science that is leading the way toward a deeper understanding of parasite biology and improvements in the control of parasitic and vector-borne disease. We have lined up five excellent speakers for these sessions that will speak on a broad variety of interesting topics. Following the opening plenary session Saturday, the program will include presentations by the recipients of the AAVP-Merial Distinguished Veterinary Parasitologist Award and the AAVP-Merck Outstanding Graduate Student Award. Beginning on Sunday morning and continuing through Monday, attendees will have the opportunity to participate in concurrent scientific sessions, in which papers on a wide variety of interesting topics related to important issues in veterinary parasitology will be presented. On Tuesday morning, we will have the second plenary session, followed by a session sponsored by the National Center for Veterinary Parasitology (NCVP). As has been the long practice of the AAVP, the 61st Annual Meeting will include student presentations and a student competition. Following the process established at the 2015 annual meeting in Boston, we will again integrate all student papers into the topical session that is most appropriate for their talk. While this presents some logistical challenges for the competition, it reinforces our deep belief that our student members are doing work that should be presented along that of other members. Given the time constraints of our meeting format, we may once again include a poster session if the number of submitted and high-quality abstracts exceeds the number of slots available in the concurrent sessions; more information will be provided once these numbers are available. When submitting abstracts (see below for details), individuals will be able to choose whether they prefer an oral or poster presentation. We should be able to accommodate the preferences of most, but if more oral papers are submitted than can be accommodated in the program, some who request oral papers may be assigned to a poster. This will not affect the student paper competition, as we plan to have awards for both oral and poster presentations. As in recent years, students will benefit from a series of excellent social and professional opportunities designed specifically for their benefit. All students are encouraged to arrive early and attend a special student lunch "meet and greet" on Saturday prior to the opening session, which will provide fun activities to help students get to know each other before the meeting starts, so those student relationships can be strengthened throughout the remainder of the conference. This will be followed by a student lunch on Sunday, at which AAVP colleagues from many different career paths in parasitology will meet with students in a "speed-interaction" format to share their insights and advice. On Monday, a third student lunch meeting will include elections for the new student representative to the Executive Board. Once again, time will be set aside on Sunday morning for meetings of AAVP committees. The purpose of these meetings is to provide a dedicated time slot for our committees to review the past year's accomplishments, develop new proposals for the coming year, and prepare for committee reports to the AAVP membership at the business meeting on Monday. You do not need to be a 2016 committee member to attend; showing up will allow you to become a new member of a committee that is of particular interest to you. As you know, committee work is essential to the functioning of our society and we encourage everyone to contribute by serving on a committee. We especially encourage students to join committees. As a bonus, breakfast will be provided to all who attend. As a reminder, the committee chairs are: Archives, Tom Nolan; Awards, Tom McTier, Constitution and Bylaws, Tom Kennedy; Education, Tom Nolan; Finance, Andy Moorhead; Historian, Alan Marchiondo; Newsletter, Frank Hurtig; Program, Tim Geary; Publications-Internet, Tariq Qureshi; Outreach/Research, Andy DeRosa; Nominations, Ann Donoghue. The Westin Riverwalk Hotel has great venues for evening socials. As has been the highly valued practice at AAVP annual meetings, socials will be sponsored by Bayer on Saturday night, Merial on Sunday night, and Elanco on Monday night. We will also host other sponsored events; details will be shared soon. Updates to the program, as it continues to develop, can be found at this web site. Please note that the final program for the conference will be posted on the AAVP web site, and not in the June Newsletter, by 2-3 weeks prior to the meeting date. The Program Committee now invites abstracts for oral and poster presentations with a submission start date of March 14 and a deadline of May 13, 2016. The AAVP annual meeting is a great way to share the latest data and views on the biology and control of parasites of veterinary importance. It is also an excellent networking opportunity. We warmly welcome you to come and present your work, or simply to join us in San Antonio this summer. It is highly recommended you pre-register for the San Antonio meeting. Final acceptance of an abstract will be dependent on registration. You can register on-line via the link below or by submitting a paper copy of the registration form to the Secretary/Treasurer, Dr. Doug Carithers (Doug.Carithers@merial.com) with the registration fee. Early Bird registration ends July 5, 2016. After this date, registration costs will increase (see below). On-line payments can be completed by credit card (Visa, MasterCard or American Express). A mail-in registration form provided can also be used but can only be paid by check. This form is available via the link below. The AAVP meeting registration fee supports the cost of running the meeting. Hotel reservations are separate and need to be booked directly with the hotel, as outlined below in the "Meeting Location" section. AAVP annual membership dues are not included in this fee, but can be paid separately during the registration process. You will receive a confirmation of your pre-registration if received by July 5. A proceedings book with abstracts, meeting badge and other information will be available on-site. These items will not be mailed in advance of the meeting even if you pre-register. AAVP membership is not required for meeting registration, but highly encouraged. However, students must be 2016 AAVP members by May 13, 2016 to apply for an AAVP Young Investigator travel grant. A new AAVP member application form is provided via this link https://www.aavp.org/aavp-membership-options/. For those members attending the AVMA (American Veterinary Medical Association) conference held in San Antonio at the same time, please note that AAVP is completely separate and does not have any formal relationship with AVMA. 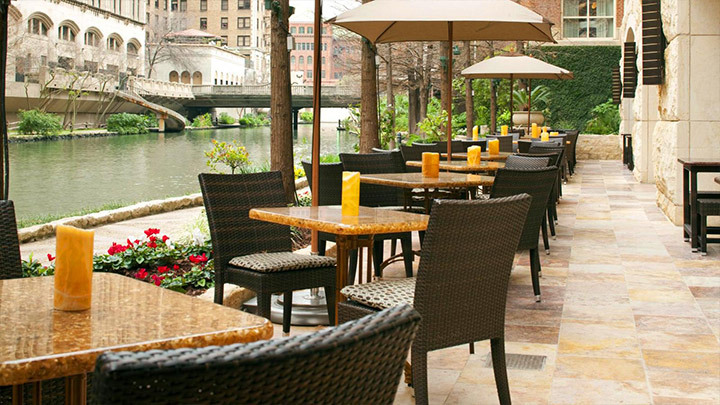 Click here to reserve a Westin Riverwalk room at the AAVP group rate. 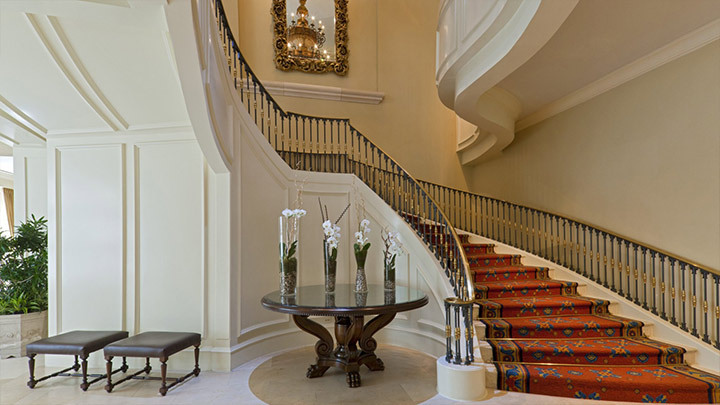 Settle in at San Antonio's luxury landmark, nestled on a romantic bend of the city's famed River Walk. Stroll in the shade of cypress and palm trees, moments from the Alamo, La Villita historic village, and the San Antonio Convention Center. 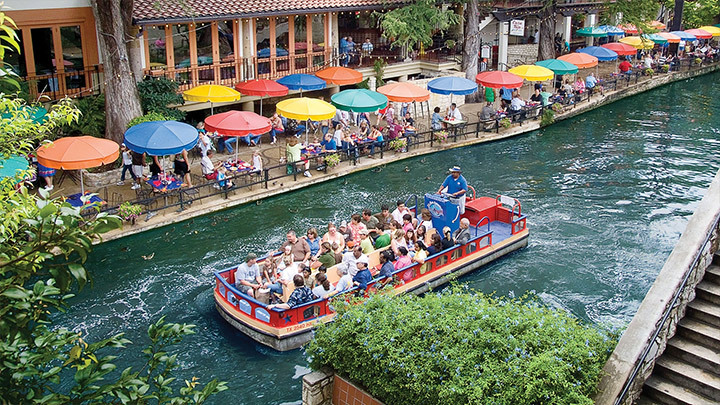 Whether you set out on foot or by water taxi, the hotel's location overlooking the River Walk invites you to explore the myriad restaurants, shops and entertainment venues that line the banks of the San Antonio River as it winds through downtown. Wander a bit further and you'll discover rich sites of culture and the arts. Breathe in some Texas history at The Alamo and the Spanish Governor's Palace, stroll through Market Square and La Villita, San Antonio's historic arts village, or sip a cold microbrew at the Historic Pearl Brewery. The hotel is also within easy reach of both the cutting-edge Blue Star Arts Complex and the San Antonio Convention Center. Great family attractions, including the San Antonio Zoo and Six Flags Fiesta Texas, are just short trips from the hotel. 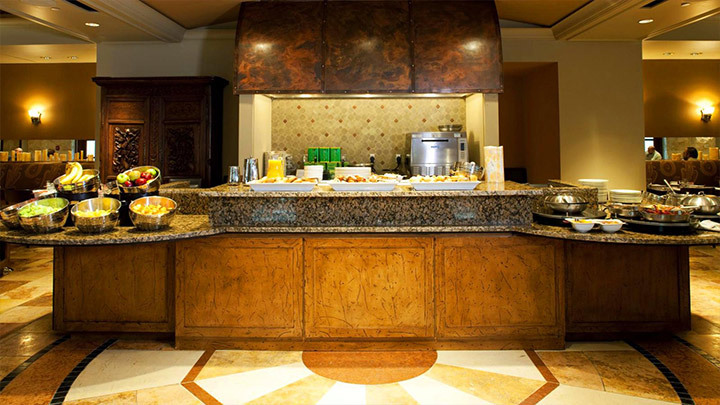 Complimentary Wi-Fi access is available in all guest rooms and meeting rooms. Some pets are welcome; please contact the hotel for further information. Self and valet parking is available at the hotel at a cost of $20/$39 per night (plus tax). Please note that The Westin Riverwalk Hotel does not have its own airport shuttle. About: SATRANS provides regularly scheduled shuttle service from the airport to downtown hotels. Shuttle tickets are sold at the baggage claim areas in both terminals. Public Transportation: San Antonio also has buses for public transportation. VIA buses operate seven days a week from 4 a.m. to 1 a.m. More information about VIA Metropolitan Transit in San Antonio, Texas can be found at their website: http://www.viainfo.net/Ride/Default.aspx. Take Interstate 10 West into San Antonio. Take I-37 North and exit at Commerce Street. Turn left onto Commerce Street, turn left onto St. Mary's Street, then turn left onto Market Street. The hotel is on the right located at the corner of Market and Navarro. Take U.S. 281 South (Highway 37) into downtown. Take the Commerce Street Exit and turn right onto Commerce Street. Turn left onto St. Mary's Street and then turn left onto Market Street. The hotel is located on the corner of Market and Navarro. Take Interstate 37 North and exit at Commerce Street. Turn left onto Commerce Street, then turn left onto St. Mary's Street. Next turn left onto Market Street. The hotel is located on the right at the corner of Market and Navarro. Take Interstate 35 North into downtown and exit at Durango. Turn left at the light onto Santa Rosa, then turn right onto Dolorosa which turns into Market Street. The hotel is on the right. Take I-10 into downtown. Stay on the upper level to I-35 South. Take the Durango Street Exit and follow the curve. Turn left onto Santa Rosa. Turn right onto Dolorosa which turns into Market Street. The hotel is located on the right past St. Mary's Street. Parking: Valet Parking available for 39 USD per day. One time (non-overnight) parking available for 22 USD per day. A self-pay garage is also located across the street. 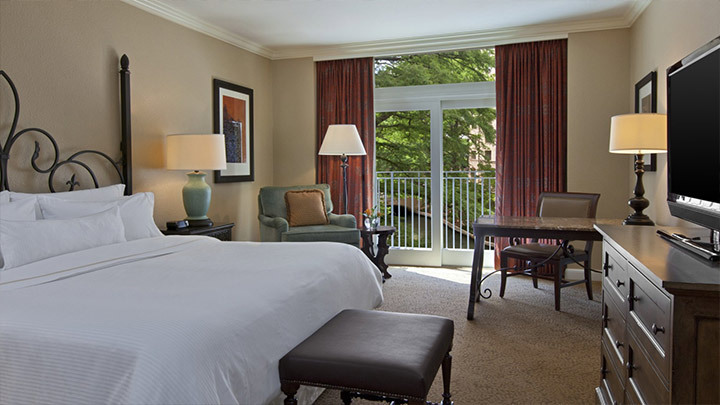 Click here to reserve a Westin Riverwalk Hotel room at the AAVP's special group rate. There you will be able to book and hold your reservation with a credit card. On-line reservation is the preferred method. 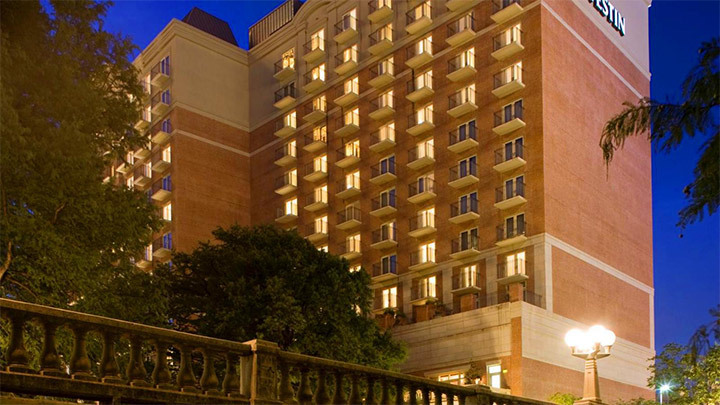 Call the Westin Riverwalk Hotel, 420 West Market Street, San Antonio, at 1.866.627-8396 (U.S./Canada). Inform the reservation agent that you are attending the AAVP 2016 Annual Conference and have a credit card ready to guarantee the reservation. 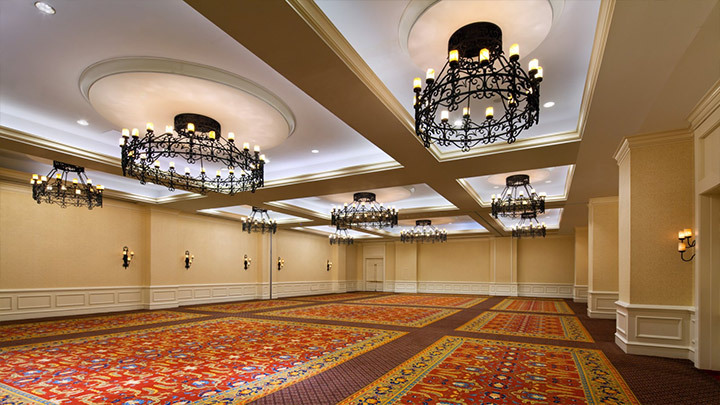 Conference rooms have been set aside and the hotel has offered a special room rate of $189.00 per night plus tax. 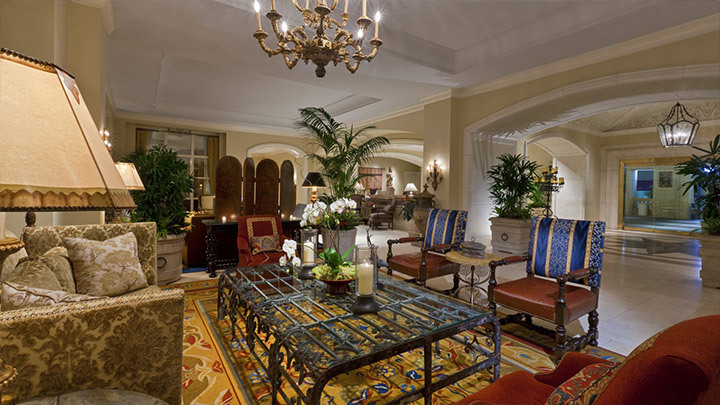 This includes complimentary Wi-Fi access within guest rooms and complimentary shoe shine service. The room extra person charge, after two (2) people, is $20 per night. It is important for all meeting attendees to stay at this hotel in order to satisfy our room block commitment. Make your room reservations by July 5, 2016. After that date, the room block will be released, and the special conference reduced rate will expire. 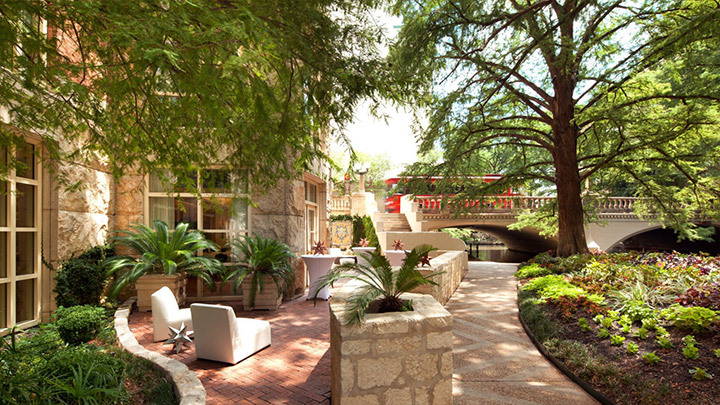 For more information about San Antonio see the San Antonio Visitor Bureau web site http://visitsanantonio.com/ and for more information about the Westin Riverwalk Hotel, see http://www.westinriverwalksanantonio.com. Students seeking more information about student activities or looking for a room share should contact Meriam Saleh (msaleh@vt.edu), Jesica Jacobs (jjacobs2@mix.wvu.edu) or post on the Student Chapters of The AAVP Facebook page (https://www.facebook.com/groups/332987480064898/). The 2016 program will follow the basic format for recent AAVP meetings, which has proven to be very successful. We will incorporate a poster session only if needed to accommodate a number of submissions that cannot be placed in the confines of our concurrent session format. As in Boston last year, we will integrate all student presentations into the topical session that is most appropriate for that paper. We believe that this format advances the visibility of student research to others in the same sub-specialty, and will facilitate interaction and discussion with more senior scientists. As usual, the meeting will start on Saturday afternoon with the President's opening remarks, followed by the opening Plenary session, which this year promotes the theme of the conference: "New Vistas in Veterinary Parasitology". Dr. Collette Britton, University of Glasgow, will give a talk on new insights into parasite biology based on small, non-coding RNAs. This talk will be followed by a presentation by Dr. Angela Mousley, Queen's University of Belfast, on new advances in RNA interference in parasites of veterinary importance. This session will conclude with a presentation on new techniques for the large-scale modification of insects. Following the plenary session, there will be an Awards Program, during which presentations will be made by this year's recipient of the AAVP-Merial Distinguished Veterinary Parasitologist Award and the winner of the 2016 AAVP-Merck Outstanding Graduate Student Award. Following the conclusion of the day's events, Bayer will sponsor a welcome reception. Sunday morning begins with meetings of the AAVP committees; breakfast will be provided (but only for those attending the committee meetings – so plan to attend!!!). Concurrent scientific sessions will then begin and will continue for the rest of the day. To conclude the day's events, Merial will sponsor an evening social. Monday morning we will continue with concurrent scientific sessions, which will be followed by the AAVP Business Meeting and the Awards Ceremony. Thereafter, scientific presentations will continue for the rest of the day and will include the ever-popular session on Novel Cases. This will be followed by a meeting of the ACVM Parasitology Diplomates, and will conclude with an evening social sponsored by Elanco. Tuesday morning starts with the President's Symposium, which will highlight two exciting developments in diagnostic approaches to veterinary parasites. Dr. Dave Elsemore, IDEXX, will describe a new approach to the diagnosis of canine gastrointestinal nematode parasites the, followed by Dr. Cassan Pulaski, Louisiana State University, who will present a talk on new developments in the molecular diagnosis of heartworms resistant to macrocyclic lactones. The remainder of the morning will conclude with a final set of scientific presentations and a concurrent session devoted to AAVP-NCVP Parasite Case Discussions. Please note: the conference program is still in development. The final program will be posted on this website on July 14, 2016. All oral presentations will be given a 15-minute time slot. Plan to deliver your presentation in 12-13 minutes to allow time for questions. Please remember to summarize and repeat questions before responding so that the audience can clearly hear and understand. Posters should be prepared in portrait orientation with maximum dimensions of 33 inches (84 cm) wide and 44 inches (112 cm) high. Each poster presenter will be provided with half of a 4-foot-high by 6-foot-wide poster board. Materials for attaching posters to the boards will be provided. To locate your assigned poster board on the day of your presentation, look for the board marked with the poster number that will be assigned to you when your abstract is accepted. Each poster will be assigned a day for presentation, and it is expected that an author of the poster will stand next to the poster to answer questions during the evening poster session assigned to that poster. Electronic presentations on commonly-used portable media (memory stick/USB Jump Drive, CD) must be used. AAVP will provide equipment in each meeting room for projected computer presentations; there is no need to bring a personal laptop. Files must be placed in the appropriate computer desktop folder prior to the start of your session. Sessions include several successive papers, so please plan to arrive at least 15 minutes before the entire session begins and not just before your presentation. PowerPoint is the only software supported for electronic presentations. Other programs or the use of personal computers are at the discretion of the Program Chair. Slides (2 X 2) and overhead projectors are NOT available. Abstracts should be submitted via the AAVP web site. The abstract-submission process has been simplified for the 2016 meeting – please follow the guidelines. When submitting your abstract, you will need to select whether you prefer an oral presentation, a poster presentation or if you have no preference. We should be able to accommodate the preferences of most, but if more oral papers are submitted than can be accommodated in the program, some who request oral papers may be assigned to a poster. As in previous years, the word limit for abstract text (excluding title, author names and affiliations) is 300. Abstracts may not contain tables. The submission portal allows you to submit your abstract and make changes until 11:00 PM on May 13, so there is no need to wait until the last second to upload your abstract! Abstracts should be prepared in Word and then pasted into the text box indicated for abstracts. After pasting your abstract text check for formatting as italics and symbols may not transfer correctly. You can then add formatting as needed in the pasted text. Word files cannot be uploaded. The title, authors, and affiliations will be entered into separate text fields on the abstract submission website. Please do not work on two abstract submissions at the same time. You must have only one submission window open on your computer at a time (or bad things may happen)!!! 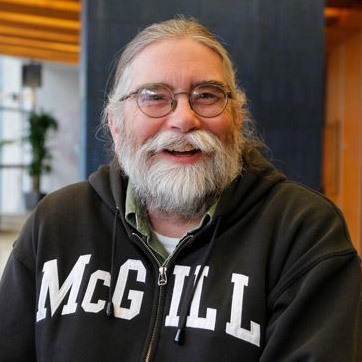 If you have any questions or problems with your abstract submission, please do not hesitate to contact the Program Chair, Tim Geary at timothy.g.geary@mcgill.ca or 1-514-398-7612. Likewise, within the abstract submission web site, contact "Support" (top right of screen) for assistance. Please remember, final acceptance of your abstract is contingent upon confirmation of receipt of the registration fee. To start a new submission or modify a previous submission, click the link below. This will take you to the log-in page. To start a new submission, once you log in you need to click on the "call for abstracts" link. This will take you to the conference-landing page (contains all of the information that is included here). Then scroll to the bottom of the document and click on the "Create New" button. If updating or modifying a previous submission then that prior submission will be available to you immediately on the abstract submission page one you are logged in. If you wish to apply for an AAVP Young Investigator Travel Grant, the required form is posted on this web site (link below) and is also available when you enter your abstract information. If you wish to participate in the student paper competition, you must also identify that the presenting author is a student. Final submission of your abstract will require that you have uploaded the required forms on the abstract submission web site. If you have any questions, please contact Meriam Saleh (msaleh@vt.edu), or Jesica Jacobs (jjacobs2@mix.wvu.edu). Information on the AAVP achievement awards can be found on the AAVP website and in the February 2016 AAVP Newsletter. Awards include the AAVP-Merial Distinguished Veterinary Parasitologist Award, the AAVP Distinguished Service Award, the AAVP-Merck Outstanding Graduate Student Award, and the AAVP-CAPC Graduate Student Award in Zoonotic Disease. The awards are given to two undergraduate/graduate/veterinary students who compete successfully in each of the oral and poster Student Presentation competitions. Students should indicate at the time of abstract submission if they wish to participate in the Best Student Presentation competition, choosing either oral or poster competition. Judges at the meeting will use the checklists (links to forms provided below) to help rate the presentations. The oral paper awards sponsored by Bayer Animal Health will be $500 and $300 for first and second place, respectively. Awards for the poster competition are still in the planning stage and these details will be provided on the conference web site as they become available. The travel grants are competitive grants awarded to full-time DVM or undergraduate / graduate students enrolled in an accredited institution of higher learning and pursuing studies in veterinary parasitology. Deserving individuals in postdoctoral positions who are within 3 years of graduation are also eligible for this award. A student must be an AAVP member in good standing (i.e., have paid 2016 dues by May 13, 2016) to be eligible for this award. Application for a Travel Grant and commitment of additional or matching funds from a sponsoring AAVP member (see below for form), and submission of an acceptable abstract, are needed for this award. Students applying for the travel grant are also eligible to compete for the Student Presentation Awards. However, the student who receives the AAVP-Merck Outstanding Graduate Student Award will receive reimbursement of travel expenses and therefore will not receive a Young Investigator Travel Grant.